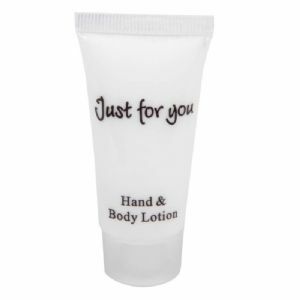 Just For You miniature Hotel sized 20ml Tube Hand & Body Lotion. These ultra convenient and easy to use tubes of hand & body lotion. 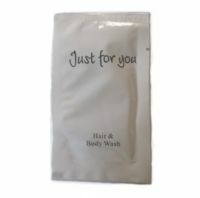 These tubes are the most cost effective way to offer your guests away from home bathroom amenities. Each tube contains enough hand & body lotion for a single use. The tubes are transparent and is finished with black lettering. The hand & body lotion is white and has a creamy consistency. 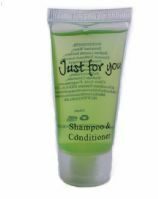 This product has not been tested on animals and uses materials which are less harmful to the environment.